Amasya, Tokat and Merzifon, on the trade route to China, were centers of scholarship and commerce. 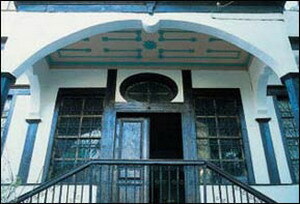 Today they are secluded enclaves of traditional pleasures. The slow waters of the Yesilirmak created Amasya, an oasis among barren hills, and a flourishing Ottoman city from the 16th to 19th centuries. Although much of Amasya is modern, it is impossible to ignore what remains of the town's splendid past. There are 13th century Seljuk and early Ottoman buildings. One is reminded at every turn that this was an important center of craft and learning, including patronage of architecture and of all the arts. Step back in time and sample the lovely "old world" style of Safranbolu where some of Turkey's most beautiful traditional architecture can be enjoyed. UNESCO has in fact now declared Safranbolu an international cultural area. 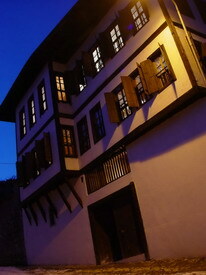 Safranbolu is also a great base to start a journey up to the Black Sea. Amasra, a great starting point is three hours away. Please be aware that accommodations as far as Trabzon are minimal and this might be the time to enjoy a night of camping or just a long day drive. As you enter Trabzon, don't let the large, modern buildings put you off. Trabzon is a wonderful base for enjoying the great Black Sea mountains and the many National Parks that surround this area. If you can get here it will be worth your journey. Time spent in conversation with your host will also reap benefits, giving you an insight into Turkish life. Journeying to the 'Towers of Trebizond' may be daunting but, after you make it, it's worth spending a little more money to enjoy the comforts of this unexpectedly high quality hotel.